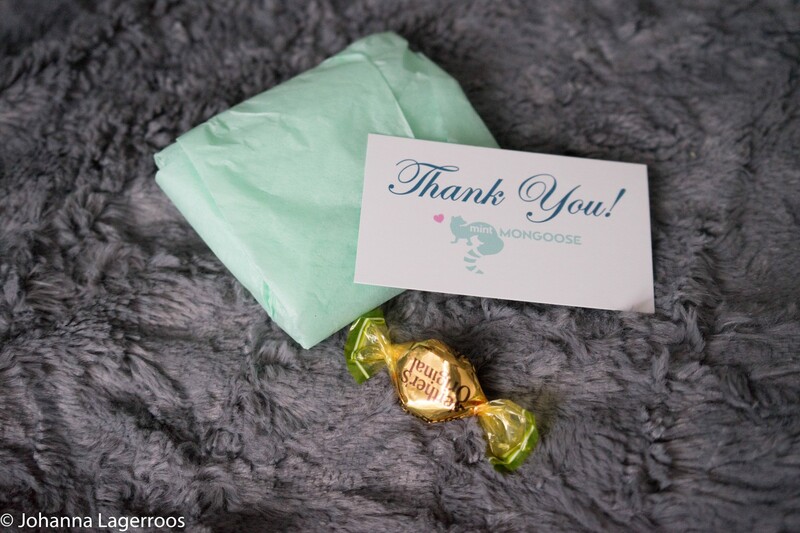 Since I've been loving MintMONGOOSE subscription boxes a lot for the first three months, I figured I should write a little post about the June and July boxes. 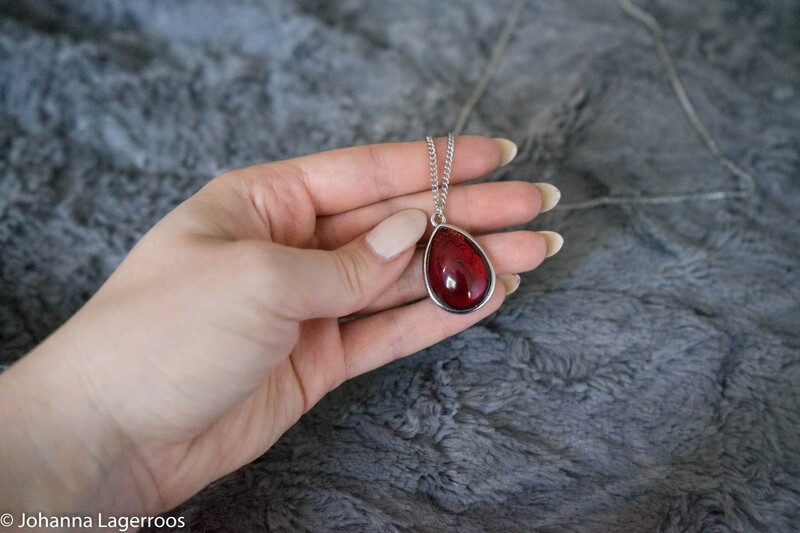 You may have seen these already on my Instagram in case you follow me there, but I thought I would talk a little more in depth about the jewelry. 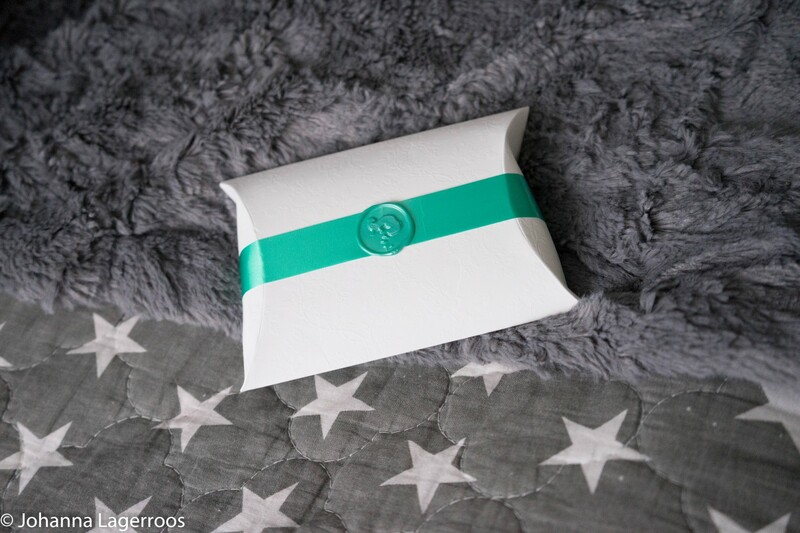 The packaging is always so cute, with the white and turquoise color scheme and mint green wrapping, little card and candy on the inside. I think the packaging is well thought out, and it feels like receiving a little gift from a friend. The color scheme of June's items was red and green - which sounds festive (as in Christmas time festive) but was actually done with shades that didn't make me think of Christmas. 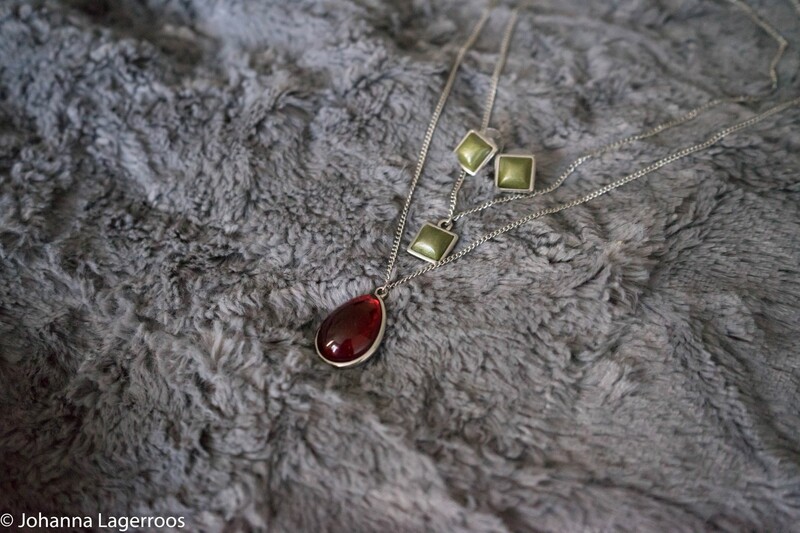 I also liked the play with the shapes, the teardrop shaped red necklace combined with the square shaped green one. 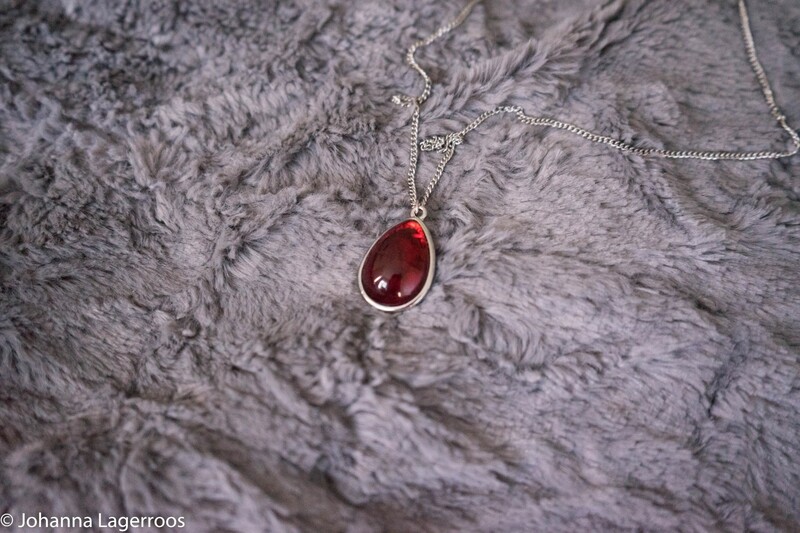 The details in the red stone are fascinating and borderline creepy (reminds me of veins), which makes the necklace look quite unique to me. I could imagine pairing this into a Halloween look, but it's also definitely subtle enough to wear it with everyday outfits. This was my favorite thing in the June box by far. 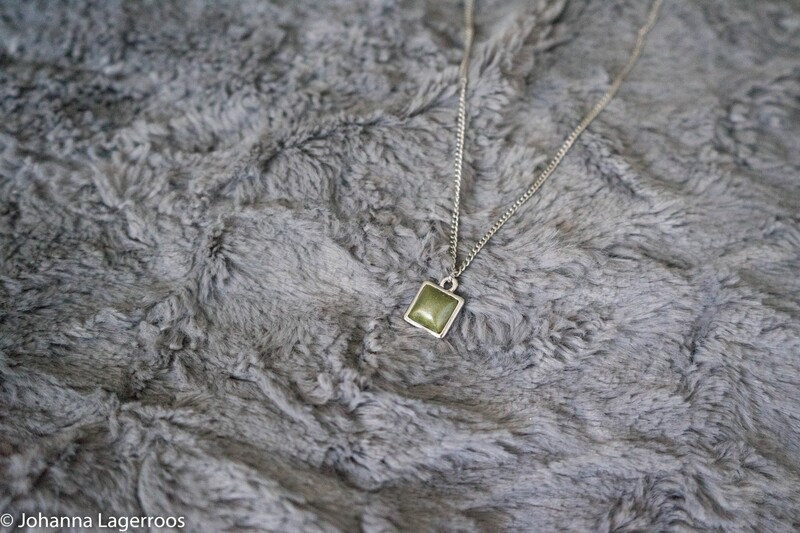 The green necklace is nice and simple, not necessarily something I would pick up while shopping for myself, but I love the color - it matches my eyes - and the more I wear it, the more I like it. 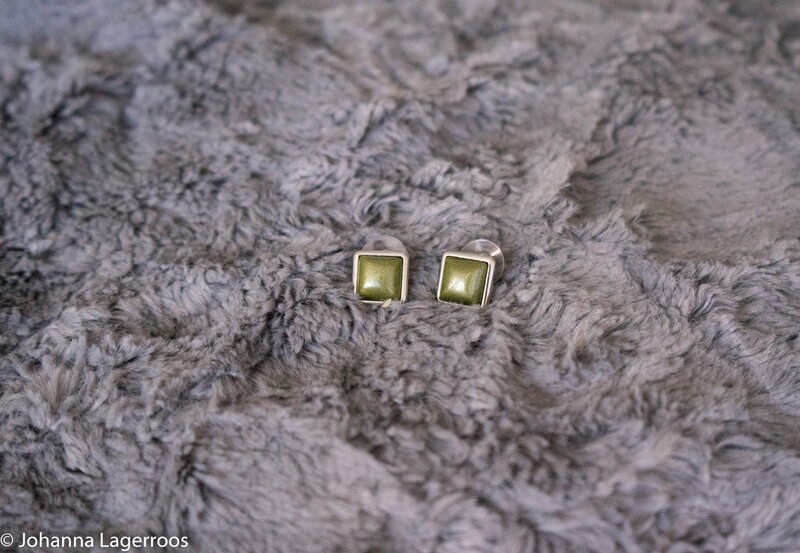 The earrings are similar design than the green necklace, modern and nice button earrings. I usually go for earrings where there's something dangling down from them, but these aren't too bad either. Not my favorite pair ever but I do enjoy the color and shape of them. 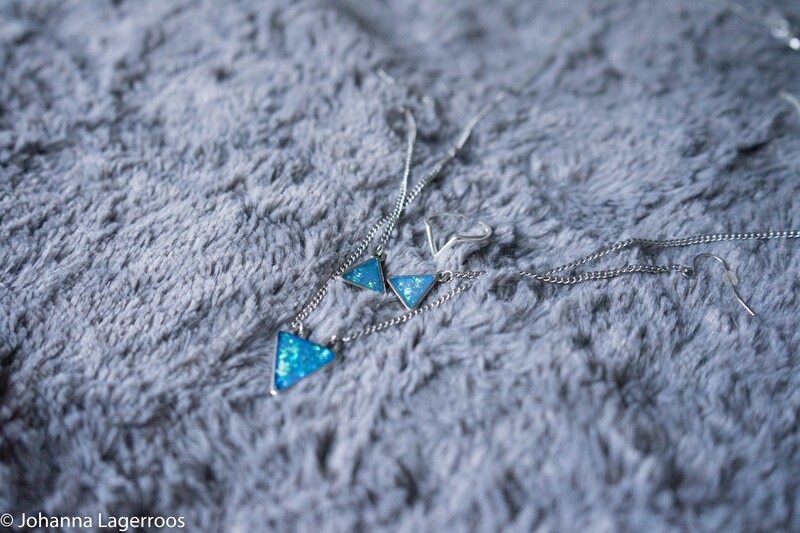 The July jewelry had lovely turqoise stones with some opal/iridescent effect to them. These were so pretty that even my boyfriend was mesmerized by them. When I laid them out to take pics, he came into the room and actually took another look at them, saying that they were nice and shiny. Which must mean they really looked super nice and shiny. 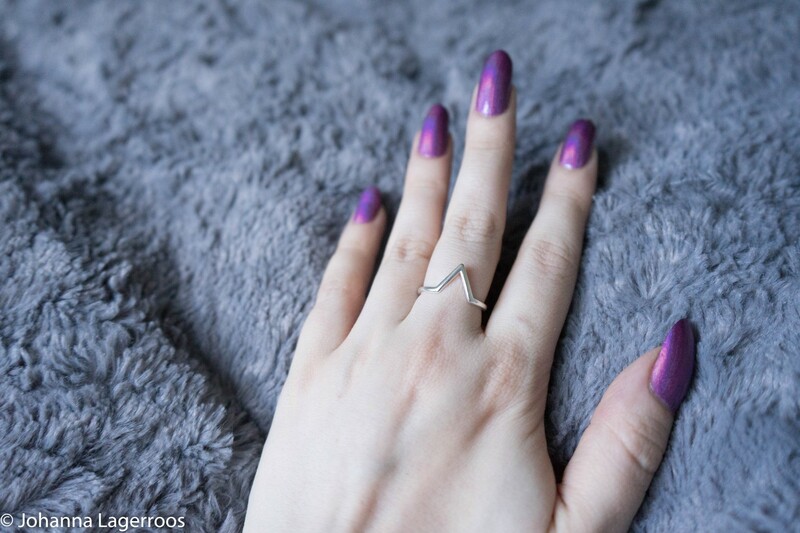 First thing was this dainty ring with triangle shape to it. I think this would be stackable with other simple rings but it's also beautiful on it's own. I definitely like this ring and can see myself wearing it time and time again. Next were these tangling earrings, with triangles on them. I love how these look, and they have the MintMONGOOSE logo engraved in the back so they actually look stunning both ways. These are such a welcome addition into my jewelry collection. 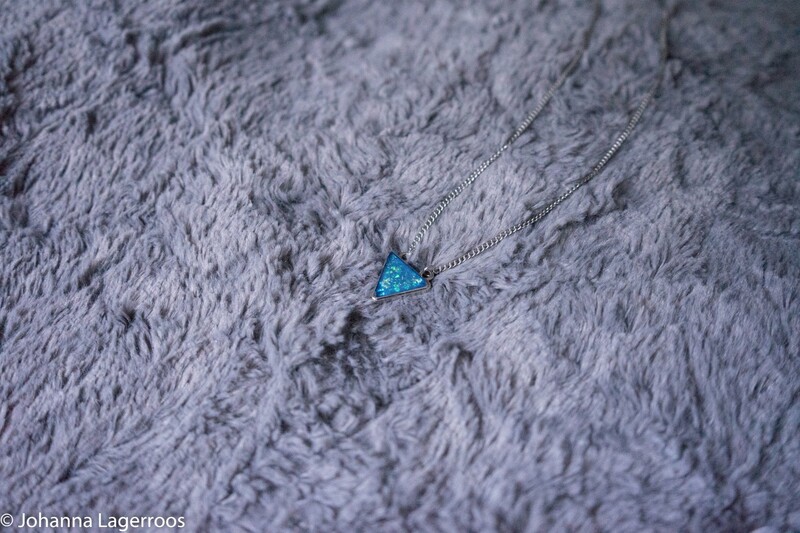 And lastly, in July box I got this lovely necklace. I've worn it many times already, and I've had it only like a week or so. This will be a long-term favorite for sure. If this post makes you want to try out MintMONGOOSE, you can subscribe here. (Note, it is a referral link, so I might get a free box in the future if enough of you lovelies go join through my link. If that feels uncomfortable for you, just go to their website and sign up there!) 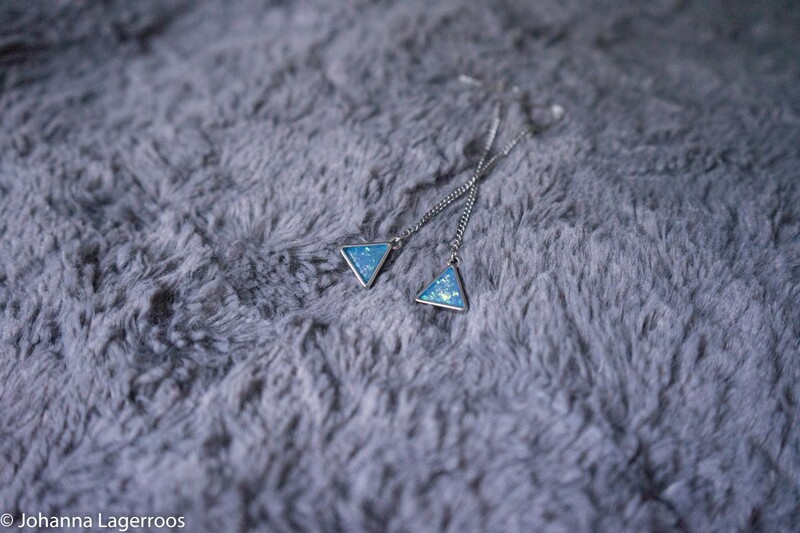 I've loved the quality of these items so far, my sensitive ears haven't gotten reaction out of any of the earrings so far, the jewelry hasn't faded at all while wearing and they don't leave black stains like cheap jewelry would. So I can say I'm very happy with them. I also like the fact you get a sneak peek of next month's box before deciding whether or not to order or skip the month - both of which are easy to do. From what I've seen, I will be getting August box (and will do a post about it if you want me to). Have you tried out this or any other jewelry subscription? How was the experience for you? Let me know in the comments! That's it for today's post, I hope you liked this one and that you've been enjoying getting posts more frequently lately. I've been loving posting more, it reminds me of the time couple of years ago when I had more frequent blogging schedule and that used to make me very happy back then. So I'm trying to keep it up as good as I can and I hope I can keep it entertaining for you as well. Starting next month, I have so much planned for you and hope to get at least most of them up for you in time. See you all in the next post in couple of days!